Wrestling With Stigma presents: SMASH!STIGMA! How did you hear about Wrestling With Stigma? Who would you like to see at future Wrestling With Stigma events? 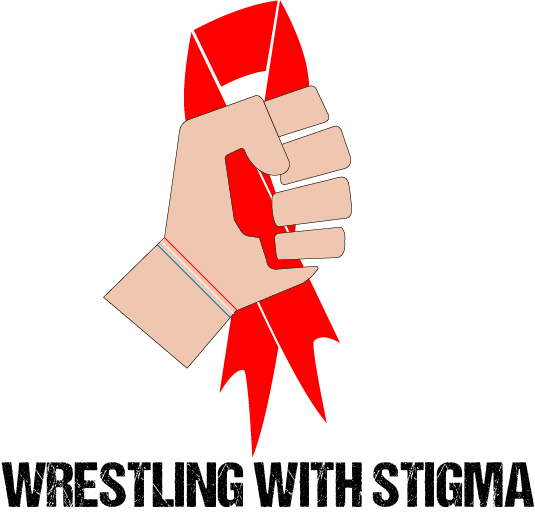 Please subscribe to the Wrestling With Stigma mailing list! SMASH!STIGMA! is the first wrestling-themed event from Wrestling With Stigma, and will feature top Canadian wrestling personalities such as Petey Williams- The Innovator of “the Canadian Destroyer”, 2x TNA X-Division Champion, Impact Wrestling & Ring Of Honor Star, Smash Wrestling Champion Tyson Dux and many other Smash Wrestling stars in a series of matches as well as live performances by Charlie Petch & Barbie Jo Bontemps, some comedy and laughter, and great local talents. The event will expand awareness, dispel myths and untruths, make light, bring people together and offer education and amazing top-quality entertainment. Thus creating a new realm of possibility for those living with HIV and their friends and family every community. All profits & proceeds from this event will support and benefit P.A.R.N. -The Peterborough AIDS Resource Network and their amazing work. This event has been created to bring greater awareness and knowledge to the HIV/AIDS crisis so that stigma is no longer something that holds the power to ruin families, jobs, relationships and even lives. And of course to raise money to help the local charities that are providing an incredibly important service to those who are experiencing the unfortunate impact from their Diagnosis. The proceeds raised will go to help local LGBTQ youth and their families and friends in the community affected by HIV, stigma and loss due to an HIV+ Diagnosis. This includes such important services as providing critical, accessible and up-to-date information on HIV, medical, medicinal, spiritual and natural treatment resources, sexual health, HIV & STD prevention and education. This is accomplished through the caring supportive workers who truly make a difference in the lives of those in the community. There are counsellors, youth programs, community events and specific emergency funding to help those who have suffered physically, emotionally or financially and have to rebuild their life in one or many ways. Check out http://www.wrestlingwithstigma.wordpress.com for more information. Donations to Wrestling With Stigma and P.A.R.N can be made here through Donorbox.